We love web design, so we were thrilled when we found the Web Design Museum. It showcases some of the best examples in a brief history of web design. Although the World Wide Web has only been around for a couple of decades. Technology, coding language and design changes have all influenced web designers. Modern websites look nothing like they did ten and twenty years ago. Looking through some of the old websites, it is easy to see some of the key design trends and what was behind the changes. If you have been browsing the internet for a couple of decades, it also makes for a nice nostalgia hit. Here are just a few of our favourite websites, along with some commentary on design in the web era. The first website was created by Tim Berners-Lee, a British scientist at CERN. The inventor of the World Wide Web (WWW), Berners-Lee originally developed it to help share information automatically between scientists and universities across the globe. The first site was very basic, a few dozen lines of HTML code. CERN restored the original site with its original domain in 2013, so you can still browse it here. Later, sites began introducing graphical interfaces and simple text directories. But the emphasis wasn’t always on user experience. CNN’s first website offered users the chance to “access the news via computer 24 hours a day”. Large news websites are updated every few years, so they are good to chart the evolution of websites. 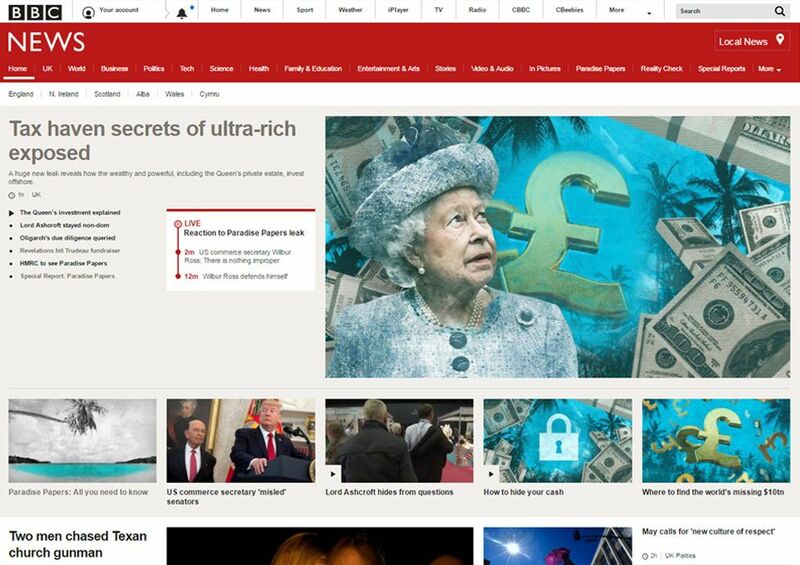 In 2017, the BBC charted the evolution of its website over the last 20 years. The product of extensive testing and enhancements, these sites have been improved year after year to give provide the best experience for web users. It also shows how websites have evolved with technology. 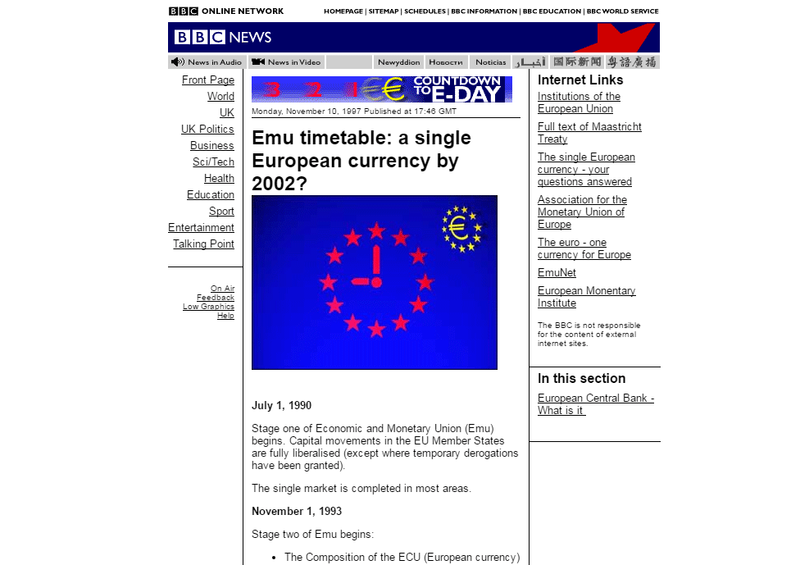 The latter BBC website was designed for larger screens, but also uses block units that are easier to click on when using smaller mobile devices – something that would have been tricky with the old BBC site. First published in 1998, Cascading Style Sheets (CSS) revolutionized website design. They made it much easier to build, maintain and update sites by allowing designers to specify rules for content instead of relying on HTML. The introduction with CSS coincided with a lot more websites being created. And for the first time, websites had a good deal more style. It made it easier to use background images, for example, and arrange other content in specific places. 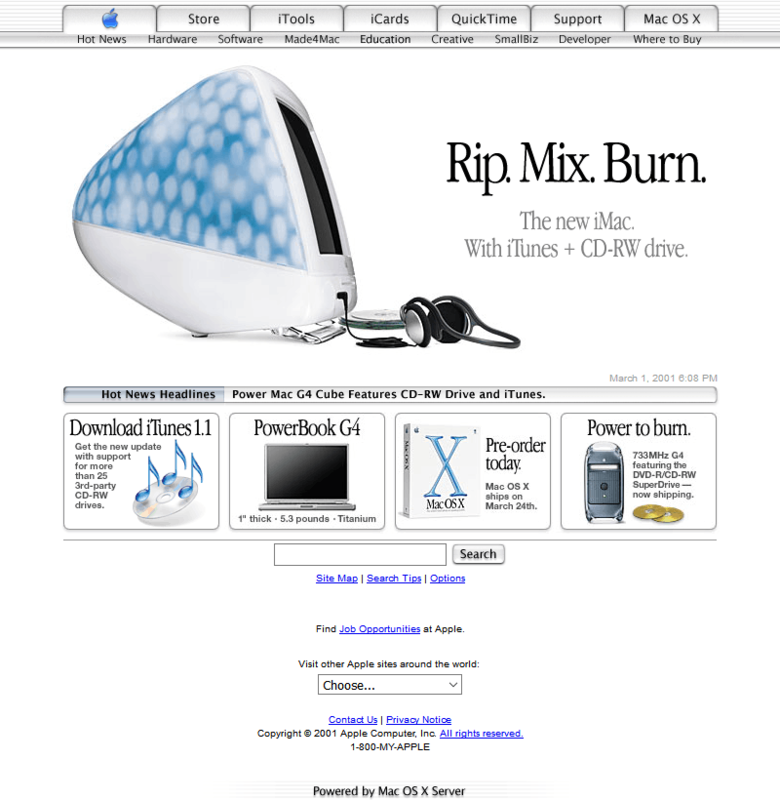 Apple, which has influenced so much over the years, also did this with their website. It’s also around this time that navigation menus started moving on from a random array of graphic elements to neater elements. 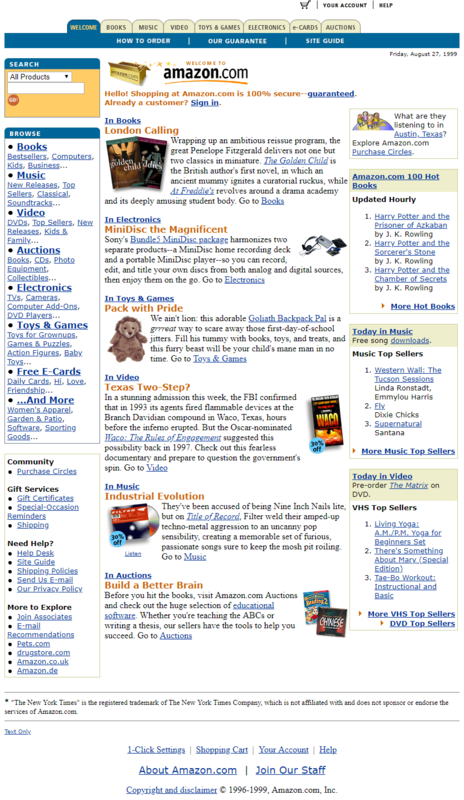 Amazon’s website was one of the first to perfect this in 1999. These navigation menus made surfing the web a lot easier. They have stood the test of time on most desktop sites, while mobile sites have opted for hamburger menus. Adobe Flash was the exciting pinnacle of web design until, one day, it wasn’t. 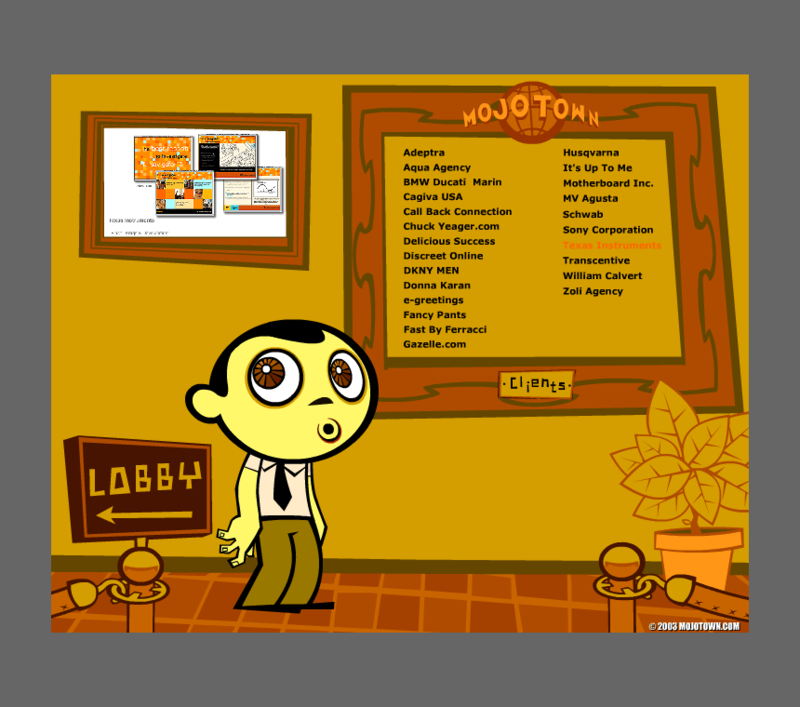 The heady flash years were characterised by video, animation and a new level of user interactivity. The technology allowed designers and developers to experiment with new rich content types that would work on almost any computer or browser. Lots of creative stylish websites used Flash to build their websites. This one from a California agency is a particularly good example. If you still have Flash supported, you can still see the site in all its glory here. The trouble was that the ‘Flashy’ elements relied on extra plugins and worked very slowly on some computers. Flash websites hit their peak in the mid-2000s before they started to slide away. Today, Flash is all but dead. Whereas in 2011, almost 30% of websites were still using Flash, today it is thought to be fewer than 5% and Adobe has announced that it will phase out Flash Player by the end of 2020. 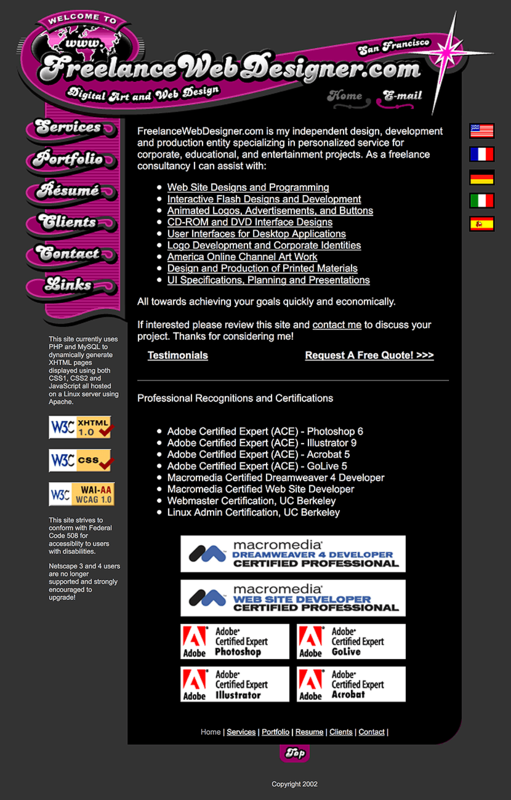 As you might imagine, there have been a lot of garish websites over the years that are well documented in the Web Design Museum. But there were also some really interesting sites, using concepts and elements that you rarely see anymore. In a world before WordPress themes and clearly defined design sheets, web designers were free to experiment. 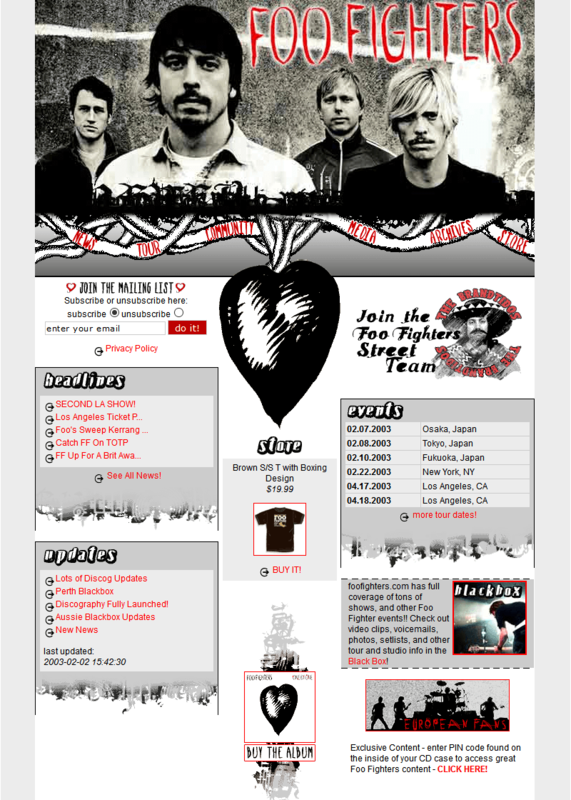 Foo Fighters’ hand-drawn website is one example. It looks like it was inspired by the Myspace website and was very much of its time. They’ve managed to keep the hand-drawn look and feel of the website through the years and it still serves as an expression of the band’s individualism. 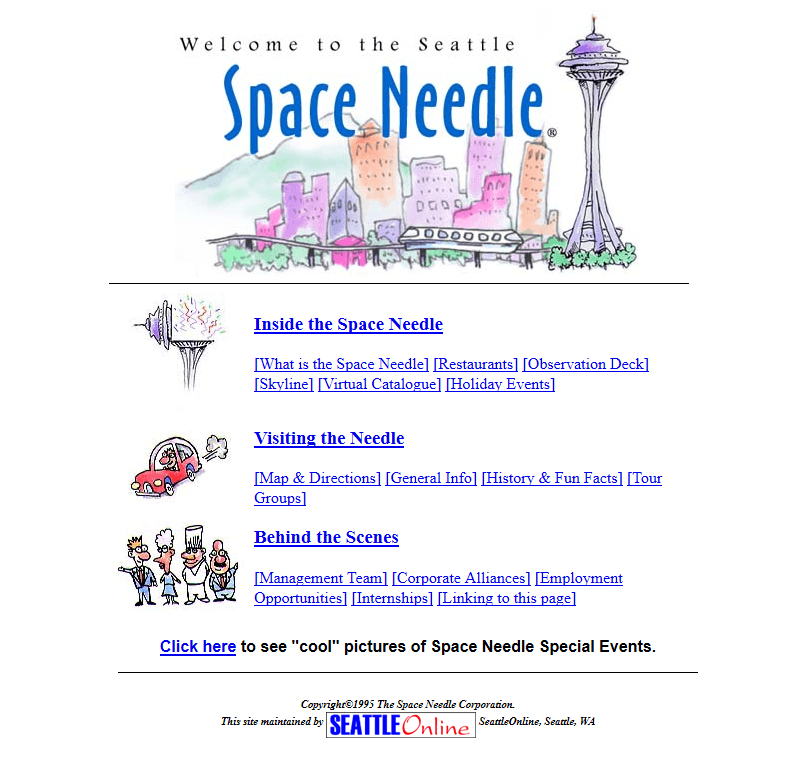 This early (1996) hand-drawn website for the Space Needle in Seattle is another of my personal favourites. It’s very clean and simple – but it doesn’t seem to have a universal navigation menu, which almost definitely caused some confusion for site visitors. Freelance web designers these days try to compete on their personal websites. They are generally all clean and nice looking, with something – a character or photography or dynamic element – that sets them apart from other freelance web designers out there. The lucky devil who managed to secure the www.freelancewebdesigner.com URL probably didn’t have to try quite as hard to compete – but we do like his website that’s nice and clear. Unfortunately, the website isn’t available anymore, so we can’t see how it has evolved. But we are sure it would be great.